Yes, you really can make your own silver ring from home! 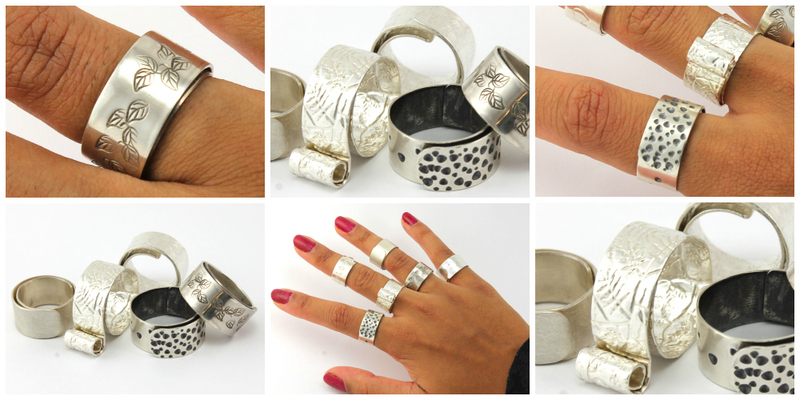 In this fun and comprehensive course, designer jeweller Rosie Sanders will guide you through the whole process from start to finish to make your own wrap-over silver ring. You start with small sheets of silver, which you then saw in to shape, heat with a small torch, texture and pattern before shaping into the perfect ring to fit any finger size. To finish you will learn all the basics of filing, sanding and polishing your piece to achieve a beautiful shiny silver ring at the end. This class does require a few more tools and materials than the bead-based classes (see tools required below) but is completely achievable to do from home with Rosie's expert, step-by-step advice and support. There is no soldering covered in this course as it is making a wrap-over ring, which makes it the perfect starting point for anyone new to jewellery making or ready to try working in silver for the first time. A fairly sturdy table to work from helps! Rosie Sanders is a thorough and enthusiastic tutor who is skilled at explaining metalwork techniques in detail. Rosie is also a multi talented jewellery designer with her own trail blazing brand of neo-classically inspired luxury jewellery. From scroll medallions to neoclassical knuckledusters, each piece is skillfully hand crafted in London using precious metals, enamel and gemstones. Rosie trained at the well known Sir John Cass School of Art Media and Design at London Metropolitan University and after winning a series of awards she undertook an 18-month residency in the faculty of jewellery and metal work. Her hand forged designs have gained wide recognition and her stunning Renaissance Rebel collection is now stocked at the Wallace Collection Museum in London. In 2013 Rosie was one of 10 designers championed as 'talent of the future' by The British Jewellers Association and her work now attracts a celebrity following.